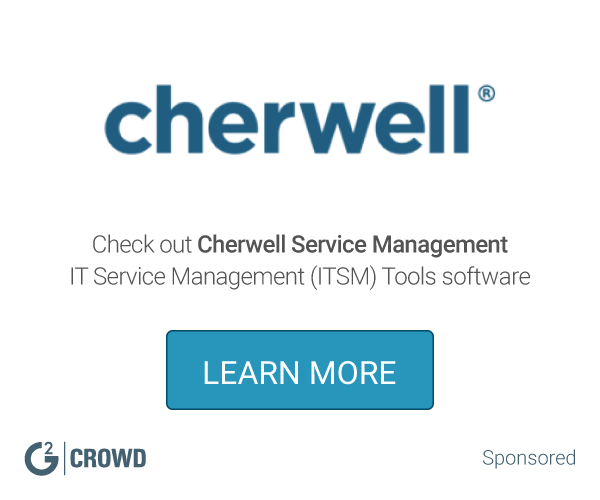 "Simple, Realistic, Ease of Use and Cost effective IT Service Management tool." The best thing about vFire is the dashboard view and time stamp on the service request. Dashboard view offers great customization options, upto 15 types of columns can be added in a regular view. Reports are exported in excel, they look nice and sorted. The integration of the users information with on premise Active Directory is really good and shows a lot of detailed information. The version used by our organizations lacks modern features like AI integration,knowledge base integration, etc however it is acceptable considering the effective pricing of the product. The product has a competitive pricing as compared to the current market and it is able to serve most of the purpose of an ideal ITSM tool. We are using vFire for routing and management of IT service management and service desk operations. The version being used is vFire core 9.9.6, which is capable of performing the automated ticket routing and pushing notifications to the concerned teams for the actions to be taken.This in turn saves time and less manual effort is required. "An easy to use Incident and Service request management tool available at a minimal cost"
It provides an end user friendly interface for dashboard view, export in excel option and offers a good number of customization as well. Integration with AD is seamless and it even provides the timestamp per the regions' clock. It lacks some of the advanced features however considering the cost effectiveness, the product stands out of the crowd. If you are looking for a simple ITSM tool which should cater all the basic fundamentals of your service desk while being compliant with ITIL framework, you can try Alemba Vfire. I like how easy it is to use the application. It's very user friendly and easy to set up. I was able to remote in anywhere I had an internet connection which made working from home more convenient. I was always able to get work done anywhere at anytime. There were no way to calculate depreciation. I've found some software that does and this is not a product that does. Sometimes, when the system was down, it made it hard to get anything done. If you're not able to access the remote desktop there is no workaround to work. Quicker responses when the system crashes and work at home agents aren't able to log in and do work. It integrates with the current product we already use to manage trends in the data we sale. "Provides Great Functionality but is not without issues"
The functionality is great. I can now work from any location with a secure internet connection and have access to ALL of my files and programs as if I was sitting at my desk in the office. I could even connect with a tablet. It operates really well. There is no noticeable lag time. I can accomplish many more tasks with this program. When working remotely, sometimes it will disconnect from your profile randomly and you have to reconnect, which could take a while. Every time there is an update, there seems to be a complication in it implementing the update. All profiles should be the same base set-up, or there are complications in the few customized profiles. Make sure to evaluate the needs of all of your staff, not just the majority, as it is more difficult to customize for smaller groups or individuals among the company. The benefits are large. Our staff can work remotely, if there is bad weather, our office building shuts down or loses power, or any unforeseen circumstance. With this program, the work can still get done no matter what is thrown in our way. "Vfire is an enterprise service management application with ease of use"
I am using vFire Core version 9.6 for incident management and handling service request. It gives me easy reports on the desired formats. Also , I like the dashboard view. If you're looking out of ITSM tools, take a look at Vfire modern versions. Incident & Service Request reporting and management is done through vFire core application. what I like best about VMSM is the ability to automate the processes that are needed to manage our Virtual Server environment. sometimes the product is a little slow to respond when executing scripts (or automated processes) it kind of makes you think that nothing is happening. a little more visual indicators would be nice to see to let you know that something is going on. pretty much anything that VMWare is worth trying at least once. I know for our company anything that they have offered has helped us in the long run. Some of the products are a little hard to get going, but once you do, they tend to run themselves. we've been able to deliver and manage physical, virtual, and cloud-based IT services in a standardized and scalable way. "Easy but a lot going on"
Really confusing once you add extra modules like CMDB groups finding specific offers. "Cost effective and easy to manage ITSM tool"
Besides cost, Vfire is very simple with all basic features available based on ITIL framework. It gives you nice excel reports for your vfire tickets and Dashboard view is descriptive yet simple. A lot of customization in the ticket view dashboard with time stamp sorting. It lags in the modern features like AI Algorithm but for this price, it is truly acceptable. If you are looking for a simple and easy to use tool which should be able to handle the Service Desk ticketing system, try this one. "VMware Service Manager for IT service provider to provide application support"
VMware is a great option to assist in everyday needs when accessing remotely.Use it if you have to handle big data technologies. Managing Cloud-based IT services of our organization. VMware service manager has a way of simplifying my every day duties and the downloading of different VMware suites and products.It allows us quick easy way to distribute work among team and pass to other teams when needed. "Powerful and flexible ITSM application"
The VMWare Service Manager is a powerful ITSM software that has very good workflow engine to control the ITSM processes/. I have used this on several client projects and it integrates very well with their business workflows. Most of the standard IT processes like Incident management, problem management ,change mangement etc. are easy to setup up out of the box. It is also a cloud based application and can be easily deployed on client environment. It has options to customize the fields on the application as well. For example, if you wanted to add a new field to capture the approximate effort for a change, you can include this field to show up when you create a new change. Most of the navigation options are shown on a panel on the left. This is typical of most ITSM applications.. They also have options to calculate and report the SLA and OLA response times and breaches. The user interface takes a little getting used to. When I first started using this, I had trouble understanding the navigations and options that were in here. Having used many other ITSM tools, I can cleary say this is one area that needs to be improved. There are several other ITSM softwares like ServiceNow that offers a lot more functionalities out of the box for project management and IT process management which are lacking in the VMware application. It would be best to consider the alternatives in the market. The VMWare application is a good option if you have other VMware products that you might want to integrate it with. Incident management, problem management, configuration management, Knowledge base, change management and service catalogs. It's very flexible which can become confusing if you lose sight of your desired finishing point. having a clear plan and desired results for implementing it is a must. Currently the application doesn't support a full html client. This will change in the next version which will make the application non operating system dependent. Service desk ticketing, customer self service in reporting faults, asset management, change management. "Best Server Virtulization platform for building and tesking"
One of the widely used Virtualization software, with lot of support and patches and Core features such as VMware ESXi, VMware vSphere Client and VMware vSphere Virtual Machine File System. Some missing storage features on the Hyper-V, and high prices. at some point some operating system keep crashing while trying to install, I also find it difficult using vagrant. I find this tool as one of the widely used and best virtualization software, that comes with lots of features and support as well. Enables the migration of powered virtual machines from one physical server to another with zero down. It has help me setup and configure lot of Test Servers on different environments. "VMware Service Manager is a good platform for DevOps virtualization"
VMware Service Manager can support various IT virtualization environments - physical servers, virtual servers or cloud-based services. It is easy to scale and replicate virtual environments across different servers, which enables quick IT response for changing software development requirements. The future development roadmap of the VMware Service Manager was unclear. The web interface is limited for IE only. Workflow engine is not very much intuitive and requires detailed knowledge of the operation you would like to perform. Know the product roadmap and its new capabilities. It is hard to upgrade to the new releases. VMware made it easy to log into my desktop and work from anywhere. This was especially convenient when traveling between multiple office and hospital locations. All of my documents and applications were available anywhere, and everything was exactly where I left it in my files which saved a great deal of time from searching for the documents that were needed for my daily tasks. The software was moderately reliable, I experienced at least a few instances of errors each day using it which required a reboot of the computer I was using. This interrupted a few meetings and was a bit frustrating when it happened during meetings or presentations. VMware is a great option to assist in everyday needs when accessing remotely. This software allowed me to work remotely from my home office which was invaluable in my work with multiple office locations and hospitals to visit each day. Must be low budget for startup company or personal. - Easy setup and configure lot of Test Servers on different environments. - The cloud access is really best benefit. - Remote is best solved. This is one of the main piece to complete your Software Defined DataCenter Story. This provide ability to virtualize your network. A software defined network with make your day to day networking need agile, lower your cost to manage it. Expand the network beyond the traditional VLAN boundary. Spin up and Teardown network on demand. Debug ability when there is some failure. Its very hard to determine if the problem is in the physical layer or virtual layer. VXLAN also relies on central controllers. Thus determining the problem is at VTEPs or Controllers is difficult. Highly recommended to move the your infrastructure to software defined networking. This also helps build a Private Cloud infrastructure where VSM can provide L2, L3, load balancer, firewall etc services. 1) With traditional VLAN we were only able to create 4096 networks. Thus for a growing business we were quickly running out of VLAN to isolate our broadcast domain. 2) VLAN were not extending our geographical sites. E.g. One of our host was in USA and other in India. We wanted them to be part of same VLAN. Traditional VLAN does not support this. We were able to solve this using VXLAN. "Great program! Easy to use! " I love the ability to use the program as a telecommuter. It gives our company to hire many agents that work from home. Without having to worry about having open office space or not enough. Sometimes it times out and freezes, but many programs do the same thing. It has been known to completely reset a desktop, however, that has rarely happened. This program is well worth the time and effort that a company can take actions in training employees to use. It broadens the working environment and locations that an employee can work from. It gives us the opportunity to work from home and not have to worry about traffic or having to work around weather conditions. "The standard in Server Virtulization "
As a leader in Virtualization software, the VMware service manager provides the Core features of VMware ESXi, VMware vSphere Client and VMware vSphere Virtual Machine File System, essential to managing a world class VM environment. There is still room for improvement with the user interface to make it more intuitive. Additional tools or features to help analyze and identify root cause of issues, particularly helping determine if the source of the issue is at the physical or virtual layer. The solution cost can be improved. If you are not already headed there, It is the way to go long term. VM does not need to need to be the sole technology in your data center, but it should be the lions share. Providing a more cost effective data center environment that allows for scalability and responsiveness to business needs while being reliable and manageable. Enables users to manage IT services, such as cloud-based, virtual, and physical. Provides a user-friendly way to control workflow. I haven't had any negative experiences from using this software. It has been extremely beneficial so far. VMware Service Manager is a useful product that allows users to manage and control IT-services and workflow in a physical, virtual, and cloud-based environment. It is user-friendly and offers many beneficial tools and features. Team members are able to manage IT-services and control workflow in physical, virtual, or cloud-based environments. Give it a test drive and let their experts show you all the benefits. You'll be surprised and very pleased with all of the amazing capabilities this product is capable of. overal db management by the IT staff, protection and security as well. "Easy integration into our system"
The ease of integration that came with the software. It was easy to plan out its place within the environment. Interrace could be updated slightly. It seems a bit outdated compared to other tools in use currently. It allows an added measure of management that was not previously available with the level of integration provided. "VMware was a great fit for my company"
Helps using cloud resources efficiently. Implementation was cost-efficient and relatively fast when compared to other alternatives explored previously. Customer service very helpful. Encounter some minor compatibility issues with processing software on older computer systems use in the workplace. Much better than Osticket at all levels (cost, ease of use, support). Facilitates use of the cloud to access off-site resources and programs. "VM ware has been helping us to re[plicate our application servers." the best thing is we used it to replicate our application servers for multiple language OS deployment, with different timezones, and its the best for all dot net based web applications and server based databases. its bit slower than normal servers for some big applications with multiple SQL installed. Loved being able to control everything from my desktop instead of removing into the server and having to go through there. There was nothing I disliked about this program. The ease of using virtualized servers from my desk at work. "Good Product, easy to use"
It is easy to use and learn. I did not have a lot of experience with this but what I did use I found to be pretty straight forward. I did not get to use this much because I did not work on that side of the company so I have nothing bad to say. It is for data warehousing and storage. Compared to others used like Autotask & SIM, feels to be the most usable. It gives the most options for gathering statistics compared to some others as well. It didnt have at the time I used it, a sort function to bring more filters in for say specific region on our queue. Other than that, dont really have any complaints, because our team worked well with it. It allows us quick easy way to distribute work among team and pass to other teams when needed. "Powerful automated IT service managment"
The VMware service manager is fantastic. The VMware service is improving product. I strongly suggest to try out the automated service for few months and see the results. 1- Provides cloud consumers a unified experience resources. 2- It simplifies the requests for cloud resources. 3- Full access to resources with the flexibility for options to modify services. 4- Establishes to other VMware solutions to provide closed loop cloud services. 5- Eliminates bottlenecks while enforcing the policies through automation. Excellent product and customer service. We use it at our work. It would be nice if VMware had a live chat feature for technical support. It's a great product. I highly recommend it. We use it for our service desk software and love it. It simplifies our support and services. "Easy to use for Mac laptop"
User friendly UI. Easy to install and maintain. Felt it takes more disk space and little too heavy on low end macbook pro. Use it if you have to handle big data technologies. I was using to manage ubuntu with Hive, Hadoop and airflow installed on it. The VMware service manager works very well when we use it to install and manage different applications on cloud platforms making it very simple to handle IT related tasks in a much efficient manner. Vmware service manager sometimes needs to be rebooted in case the OS package installed gets corrupted or runs with less available space on the server. We have installed remote desktop services through VMware service manager and applications on cloud that can be easily handled without any issues. "Secure and Easy to Use!!" This product is organized and easy to use. Allows for secure access when working remotely. Allows staff to stay connected. Sometimes I have issues connected remotely. It likes to disconnect and takes a while to reconnect. It is a great product for your company. Give it time to get working and at least try it once. We have a lot of staff in our office that work remotely and this product allows them to do this securely. That it allows me to access my windows machine on my MAC. I've had troubles with VMware not crashing. Not sure if it was my profile or the actual software. It's been awesome to switch from my windows machine back to my MAC. What I like best and is most beneficial in my opinion is the workflow module and the Service desk module. I wish there was a way to customize the software to match individual and company needs. Maybe a questionnaire to get familiarized with the user. The cost and ease of support are commendable. The customer service is also extremely beneficial and helpful. I would definitely recommend. VMware service manager has a way of simplifying my every day duties and the downloading of different VMware suites and products. My company has been using VSM for a few years now. We have been able to integrate a tremendous amount of our day-to-day processes into the tool. The user interface isn’t quite the easiest to use, initially, but becomes easier in time. We have streamlined many of our corporate processes by using the tool. Many of our repetitive tasks have been integrated into the tool which save time and have cut costs tremendously. It makes IT Healthcare like much easier, secure and most reliable. You can content you client domains/networks with the most secure way possible. Nothing as of now.. keep up the good work! The ease of managing large amounts of virtual machines without feeling overwhelmed. Each VM tree is available and simple to navigate. It still sets the default to FAT32 instead of NTFS for file systems when imaging. Other than that I really like the product and perhaps that is something they corrected in a newer version? Managing large virtual machines for server and file storage solutions for a large construction company. "Full Featured and easy to use"
"Vmware Service Manager Rocks! " It will make your life easier! POwer force of virtualization os ambients computation!! easy for configure and less support formats for images. Using with server base linux is best! "Best software available to maintain virtual machines"
Very easy to use if familiar with prior VMware products. Honestly, no negative feedback on this one. Makes it extremely easy to support and add new VM's. This is hands down one of the best Virtualization softwares, with lot of support. There is still a good bit of room to improveme. It's not the easiest user interface and has a learning curve to it. Also the cost is a bit high. - Easy setup and configuring a bunch of servers on different environments. - The cloud access is really one of the best benefits. It's very helpful. "We use VM for connecting client machines. It's awesome by performance"
Updates and installantions, tuning to the software initially was bit cumbersome. The fact that we can have different virtual machines to record training without messing with our main machine. Nothing really. But we have migrated to VirtualBox lately. Having virtual machines that we could set up to record different training sessions, so we could have an environment that would work perfectly for the translation software/task we were demonstrating. "A good solution for ITSM "
Ease of use. Flows very well put together. Makes my work easy to manage. Certain connections take a long time to refresh. "Helps me a lot to virtually manage my services across IT opeartions"
Virtualization and Platform usage. Help me manage my day to day IT operation across IT section in my organization. Its the best platform on IT planed to use and standup a virtual environment with ease of use in day to day operations. * We monitor all vFire reviews to prevent fraudulent reviews and keep review quality high. We do not post reviews by company employees or direct competitors. Validated reviews require the user to submit a screenshot of the product containing their user ID, in order to verify a user is an actual user of the product. Hi there! Are you looking to implement a solution like vFire?